The hallux valgus, or onion, is one of the most common pathologies of the foot and probably the most operated. Sometimes it is difficult to find information that is often contradictory and inaccurate commonplaces that only complicate decision-making. Here are some sentences that are often heard and do not necessarily correspond to reality. 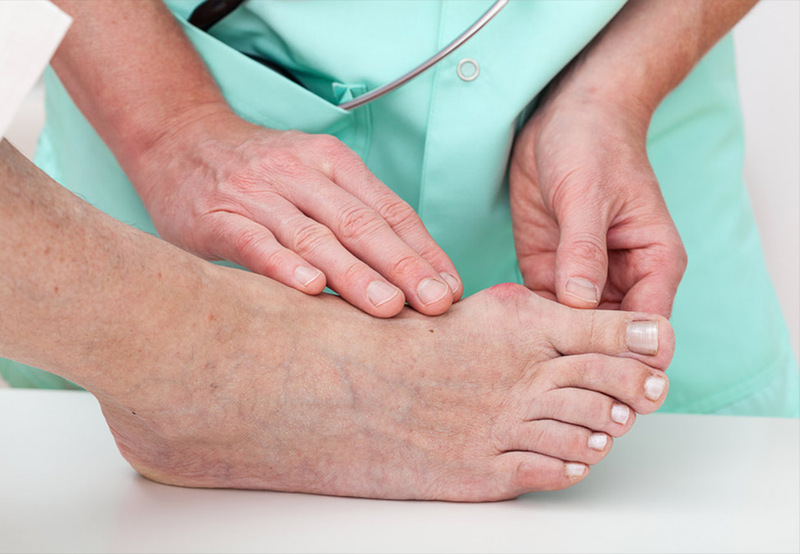 For more information on hallux valgus, read our theme page . 1. "THE HALLUX VALGUS IS DUE TO HIGH HEELS"
Hallux valgus is a complex deformation whose origin is not yet fully understood. Bone architecture, genetic character, hyperlaxity and many other factors are recognized as contributing to its development. To date, however, no study has proven the role of high heels in the genesis of this pathology. By causing a displacement of the center of gravity previously, they increase the symptomatology and the pains, as the narrowness of these shoes. They therefore represent an aggravating factor in a context of hallux valgus already installed. 2. "IT IS NECESSARY TO WAIT UNTIL THE PAINS ARE VERY IMPORTANT BEFORE CONSULTING"
The surgical treatment of onions has shown a great evolution since about twenty years. At the time, surgery was often complicated by recurrence, pain or development of other problems then little understood. Caution was advised and patients were advised to wait until the symptoms were well advanced to discuss a correction. Currently, the pathology is better understood, surgical procedures are controlled and it is advisable to consult as soon as the gene or pain is established.It is also known that other problems, such as osteoarthritis, may arise if the deformity is left for years without correction. 3. "THE CORRECTION SURGERY OF AN ONION FOOT IS VERY PAINFUL"
If you ask a 25-year-old woman who has had an onyx on her feet, there is a good chance she describes the experience as a real trauma, often compared to the pain of childbirth. Again, this vision is not at all short today. With the development of surgical and anesthetic techniques, pain is clearly no longer a problem. Naturally, each person perceives the pain differently, but it is transitory, well managed by the drugs and one quickly describes a discomfort more than a true pain. 4. "WE CAN CORRECT THE ONIONS WITH LASER"
This is false information. There is currently NO technique of laser correction of an onion foot.Minimally invasive surgery, or percutaneous, allows to perform this surgery with one or more incisions of one millimeter. However, the bone movements made by these incisions are made by milling cutters at high speed and absolutely not laser.